THURSDAY 9 BALL GRAND FINAL : NOK IS CHAMPION. Congratulations go to Nok Yung (A+3) from Thailand for winning our Thursday 9 Ball Grand Final for Season 15 on Saturday night. 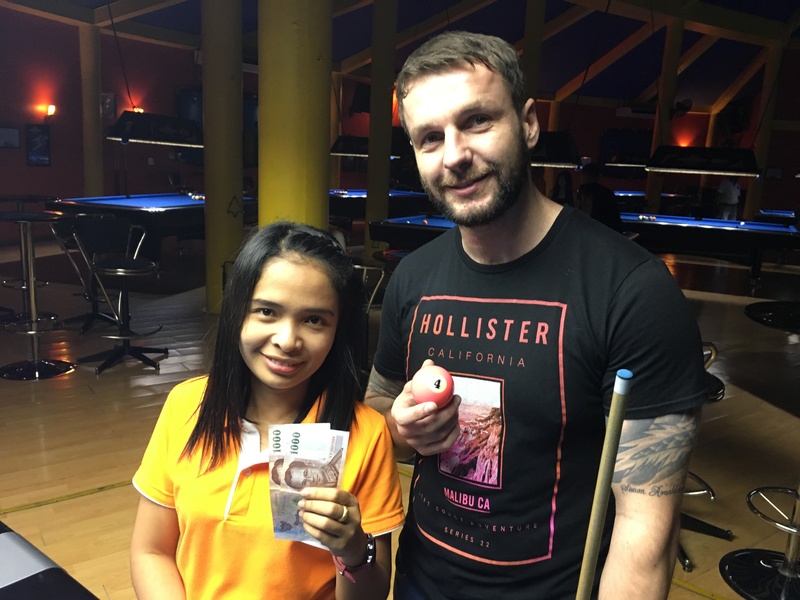 She continued her recent run of superb form to win her third competition in the last two weeks, and take home the 1st Prize of 10000 baht. 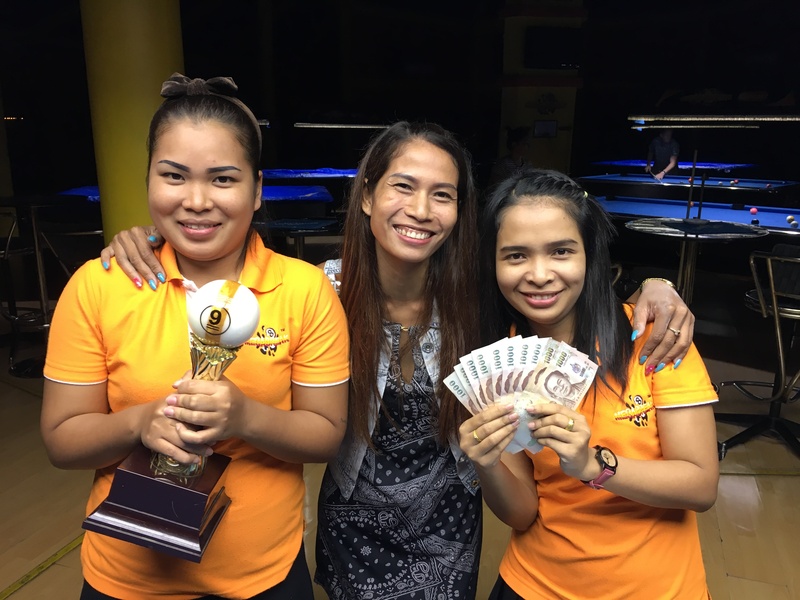 On a night which saw the Thai ladies dominate, she remained undefeated in five separate matches, and was a worthy winner. She clinched the title with victory over Pattaya’s best female player, Nam Pennipa Nakjui (A+7) in the final, 4-4 in racks (race 4-7), and her handicap moves up to A+4 for the first time as a result. Nam also played very well on the evening before finding Nok too tough in the final, and collected 5000 baht as Runner-Up. Her handicap is also increased to A+8. 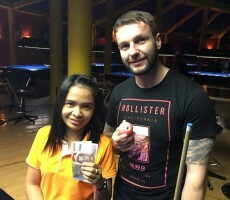 Another Thai lady, Nittha Punsuk (A+) played well to finish in 3rd place, receiving 3000 baht, with Paddy Easter (A+4) performing consistently to take home 2000 baht in 4th. 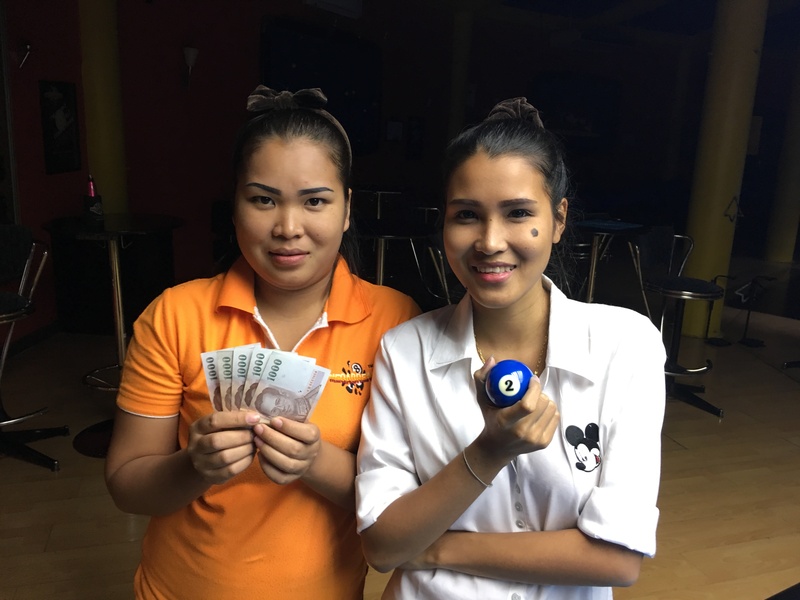 The other money winners on the evening were yet another Thai lady, Nid Mirantee Phukthamt (A+3), and Dominique Zagouri (A+3) from Israel, who each collected 1500 baht in equal 5th place.